Its Shah Rukh Khan's birthday today, and on such a special day, how can we not talk about the superstar's signature wit? His style is his wit, after all. Apart from being the King of Romance, he's also the undisputed king of conversation ending one-liners. Be it Twitter and Instagram or the TED Talks and his university speeches, Shah Rukh has managed to make folks (fans or not) chuckle and often tear up with laughter. Of his own superstar status in India, this is what he said at the TED Talks in Vancouver earlier this year: "In its extreme generosity, India decided that I, the Muslim son of a broke freedom fighter, who accidentally ventured into the business of selling dreams, should become the King Of Romance, the Badshah of Bollywood, the greatest lover the country has seen"... wait for it... "with THIS face!" While he may find it a little hard to believe, he indeed is our favourite romantic hero but only when we are done with him being an absolute monarch of wits. On his birthday, here are 10 times SRK made us ROFL with his signature humour. Shah Rukh has been detained for a record number of times at airports in USA and after the third time in seven years, he had to say this during the Yale University speech: "Whenever I start feeling too arrogant about myself I take a trip to America. The immigration guys kick the star out of my stardom." "I have been made to understand that there a lot of you who haven't seen my work and I feel really sad for you," is how he addressed the audience at the TED Talks this year. #3 Dare To Sip Coffee With SRK? On a previous season of Koffee With Karan, Shah Rukh was asked what would he do if he woke up as Aamir Khan - "I would tell the world Shah Rukh Khan is a better actor," he said. Back in 2014, a reporter asked Shah Rukh if he's bisexual, only to get this response: "I'm not bisexual, I'm 'try-sexual'. I try everything." #5 Thank You Very Much! During an AIB podcast, Shah Rukh was asked about 'stealing the spotlight' from the bride and groom when performing at weddings. "They should be happy I'm not stealing the bride away," he said. Well, thank you very much. 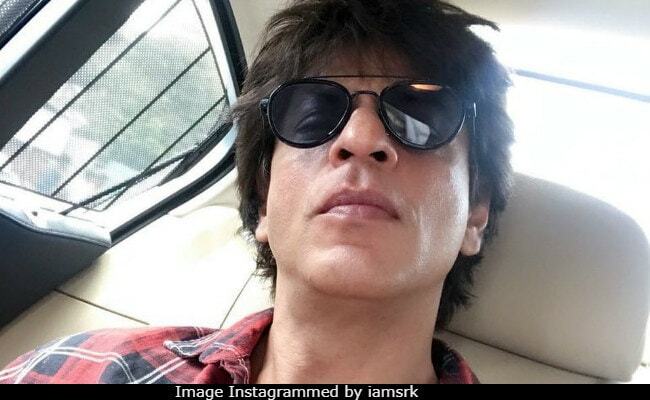 SRK had to tweet about being alive after he became the subject of death hoax when a European news network announced that the 51-year-old actor was 'killed in a plane crash along with seven others.' This is what he tweeted: "TGIF! Survived the week in spite of a plane crash, fatal accident on sets and yet another title of Imtiaz Ali film!" AbRam is Shah Rukh's youngest child. He's only four. @rushiraj07 very tiring....an ice cold bath knocks the 'kingship' out of the window & I start the day like an employee. Shah Rukh has laid down several rules for anyone hoping to date his middle child Suhana, 17. We'll just pick out our favourite one: "I don't mind going back to jail." Read the full list here. Last year on Koffee With Karan, Shah Rukh also referred to a blooper made by Alia on the show's last season, when she mistakenly named Prithviraj Chavan as the President of India instead of Pranab Mukherjee, who was the President then. On Alia's improved GK, SRK quipped: "Pranab Mukherjee changed your life." Happy Birthday, Shah Rukh Khan. Keep rocking!